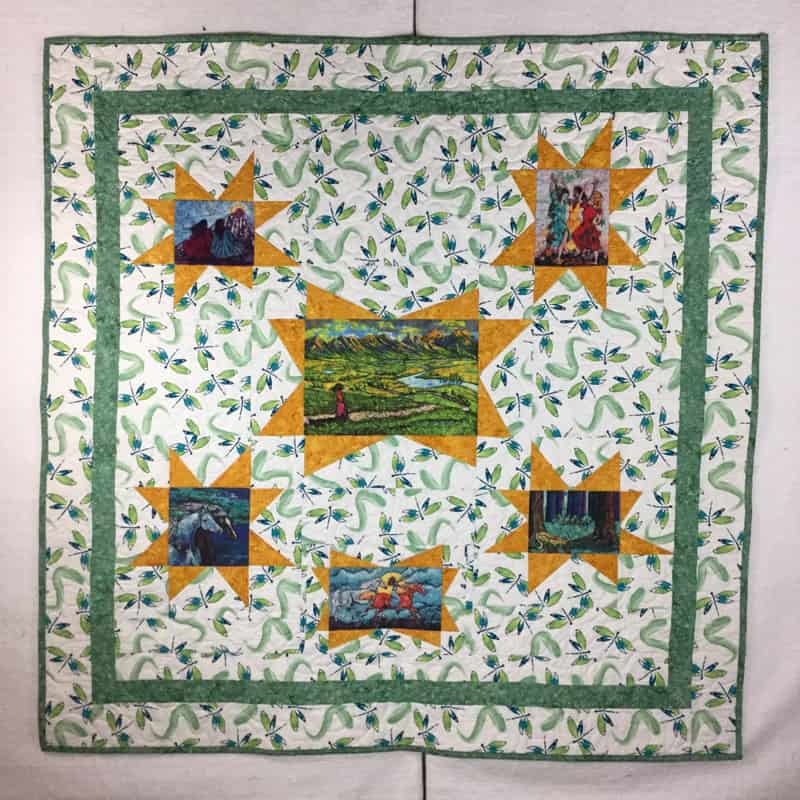 This quilt was made as a gift for a special little girl who turned one. 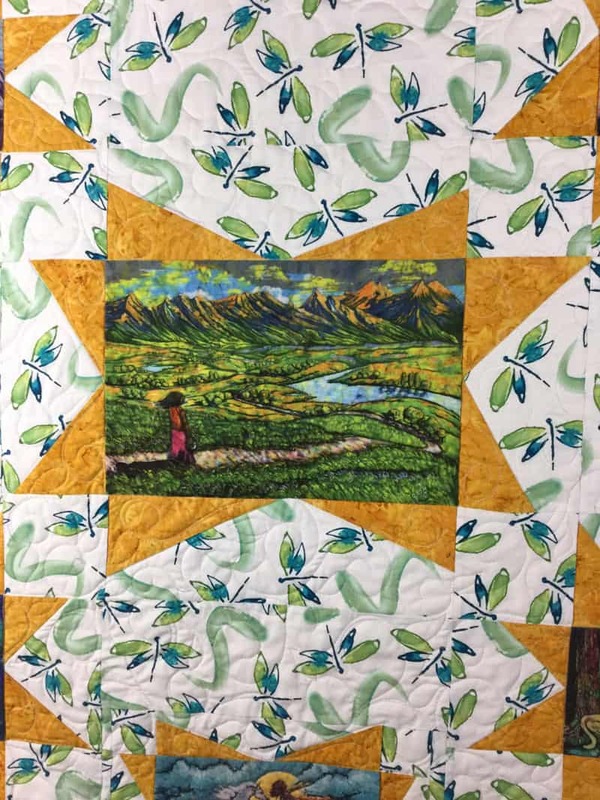 My customer came to me with art work that had been reproduced on fabric, she wasn’t sure how she was going to get a quilt made, just that she wanted one. I was happy to help. The Stars and dragonfly have special meaning to my customer. 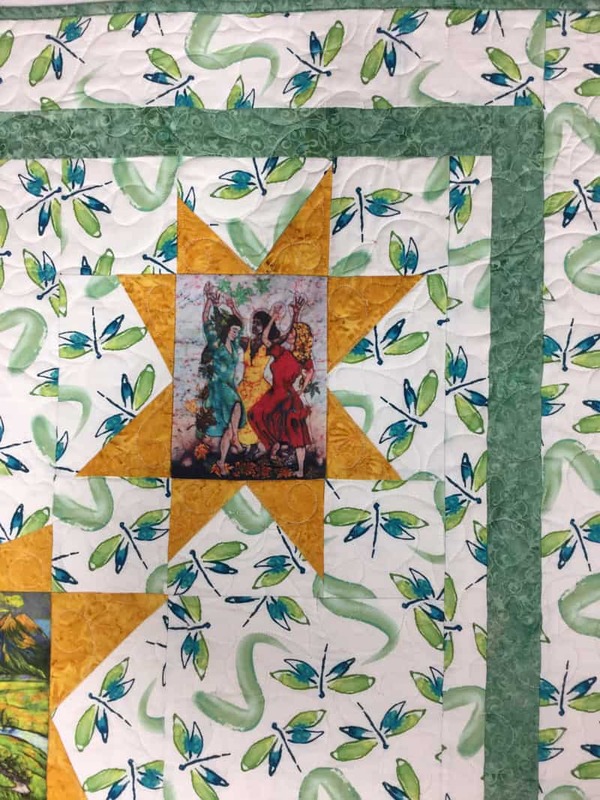 I had a great time creating this one of a kind quilt that will be treasured for years.